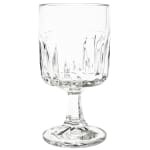 The Libbey 15464 wine glass provides a total capacity of 81⁄2 ounces for serving red or white wine. As part of the Winchester series, it is designed with bold, angular lines and an attractive geometric pattern on the bowl. 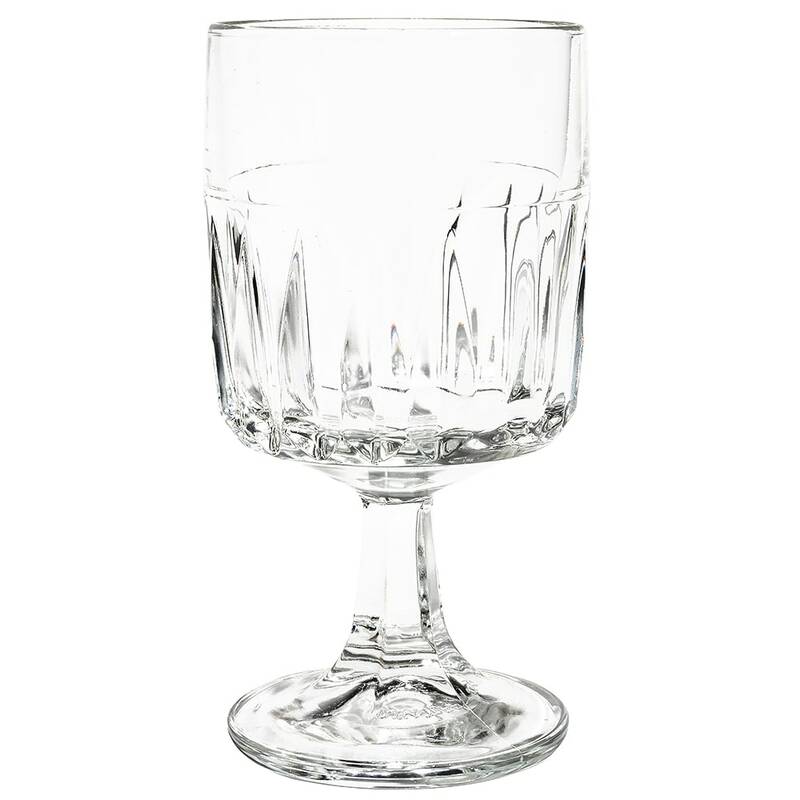 This pressed stemware has a thick stem, providing stability to the glass and a secure grip to customers and servers. This Libbey wine glass has been given the company's exclusive DuraTuff treatment, which is an after-process applied to the upper third of the bowl that creates a more durable glass resistant to breakage. Overall Dimensions: 55⁄8 in H x 3 in. max. dia. x 27⁄8 in. top dia. x 23⁄4 in. bottom dia.